This week I found a very interesting recipe challenge. 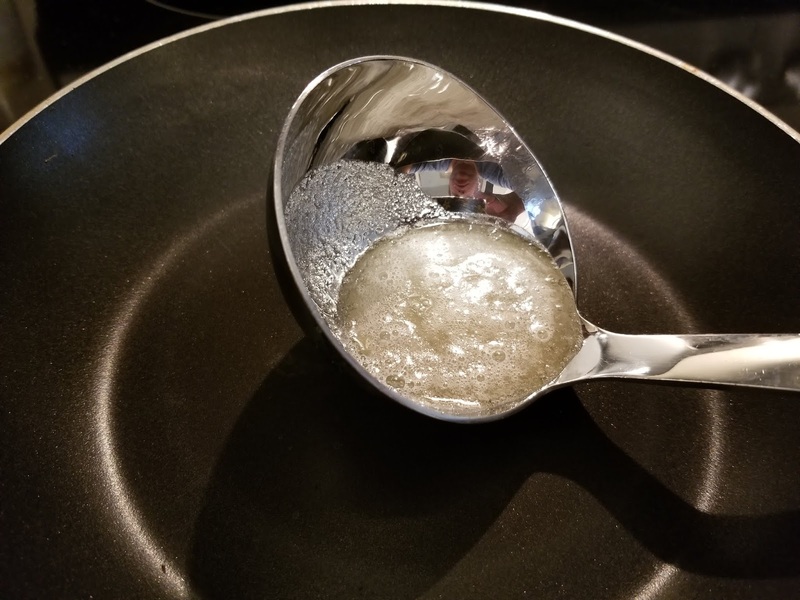 I'm currently following a group called EMROC (Early Modern Recipes Online Collective) who are a group of international scholars and enthusiasts that are working to preserve early historic documents through transcription and creating a free online platform to view them. 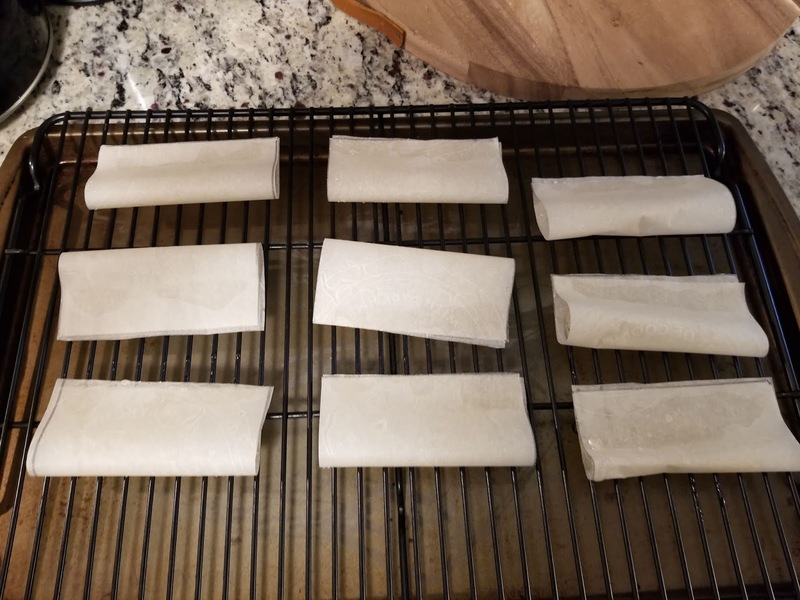 Recently they had their annual "transcribathon" where they transcribed a late 17th century cookbook written by Jane Dawson. Though they have not pinpointed where exactly she comes from, it can be surmised by the text that she was a middle class housewife who was living at the turn of the 18th century. The cookbook is 69 pages of culinary and preserve receipts with 29 more pages of receipts of a pharmaceutical nature. 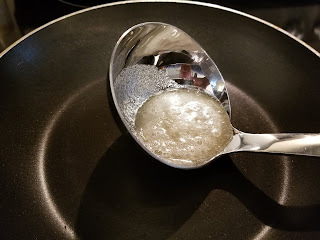 The interesting bit (well besides a really cool cookbook to read!) is that, since the cookbook was transcribed this past weekend, the members of EMROC created an event called the "Jane Dawson Cook-Along". If you're interested in it here's the website! 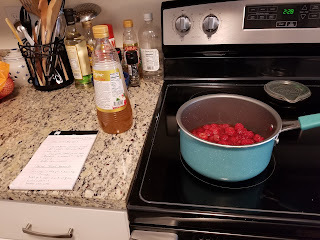 https://emroc.hypotheses.org/2162 In it they are making one particular receipt, stated below, from the Jane Dawson cookbook and have invited the public to try it out as well. How could I resist? I LOVE seeing a receipt written like this. It's almost like you can hear her say the words to it. So, deciding to take the challenge on I took apart the receipt to figure out what I would need for ingredients and collect the kitchen cookware needed to make this receipt work. First thing was to figure out what the final product should look like. The key was in the description of pinning the two corners together so "...that it may bend like other wafers..." So what do 17th century wafers look like? I personally think of round flat disks when something is described as a wafer. 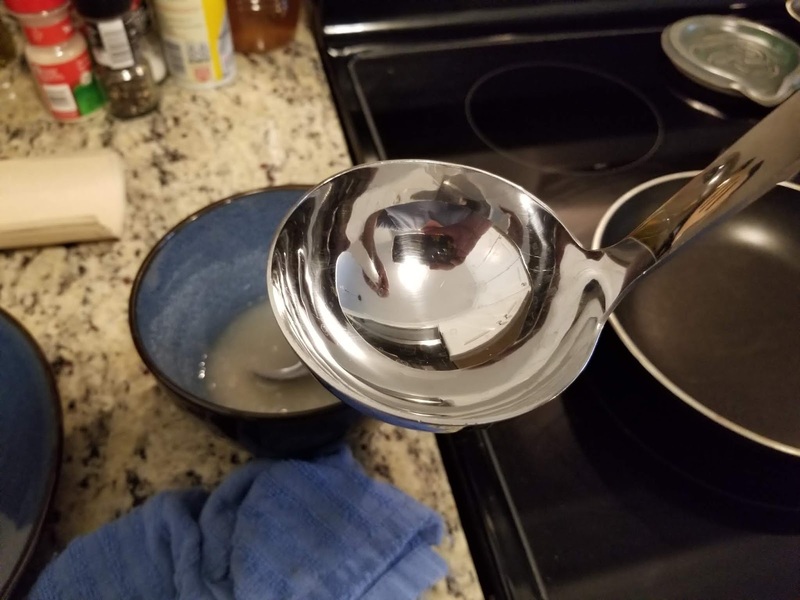 So the bend was perplexing. Then I saw the picture below. 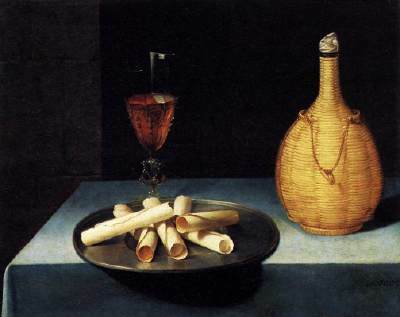 It's called "Still Life with Wafer Biscuits" and it was painted by Lubin Baugin in the 1630's. So the bend now makes sense. 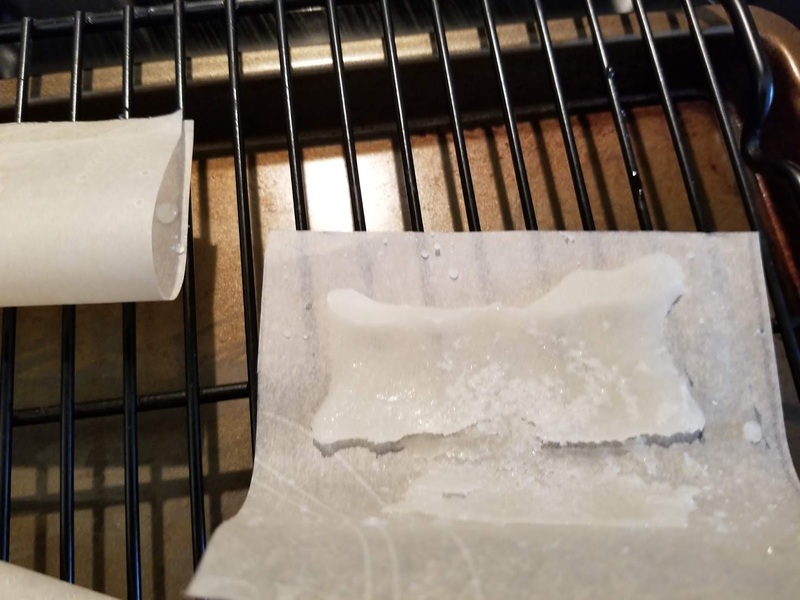 It was a lemon candy that was rolled like this. Interesting! Then I moved onto the part that stated "...spred it on a paper out 4 Square...", which I assumed would be the size of the paper. The square shape is the obvious part of this description, but what exactly does the 4 mean? I decided that might mean size. And I took that for inches. 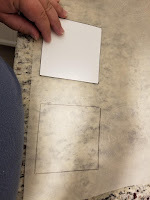 So I made a template that was a 4"x 4" square, which I used to make 12 squares on parchment paper. I then cut these out and set them aside. Next was the sugar, which was described as "...duble refined sugar beatt & dryed & sifted...". 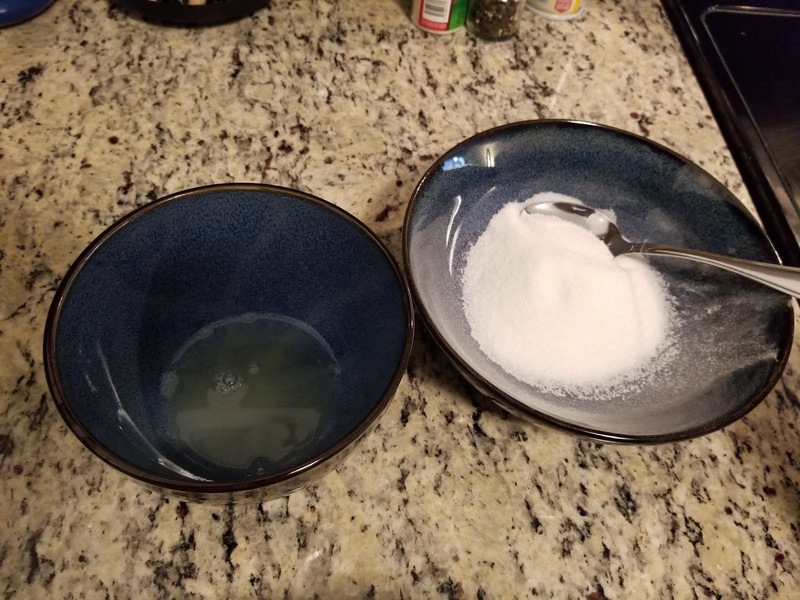 Now at first I was thinking to use powdered sugar, because it's probably the closest consistency she was describing. 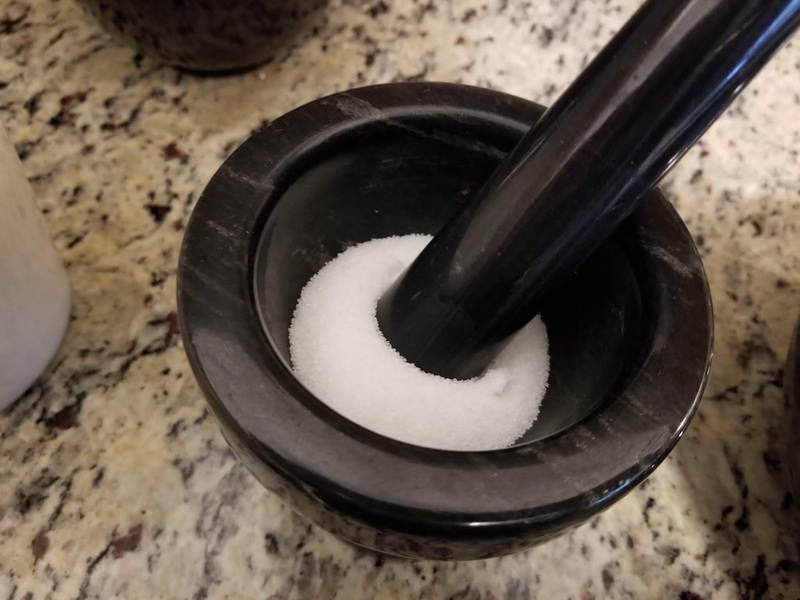 But I also wanted to be a little more authentic and decided to "beatt" granulated sugar in my mortar and pestle and then sift it fine. It was still a bit grainy, but much lighter and less gritty. 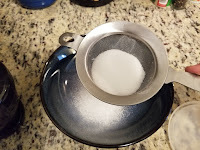 I pounded and sifted 1/2 a cup sugar to start with, not really knowing how much would be needed. Luckily the next part was pretty apparent, "...mix with it Juce of a lemmon...", so I squeezed and strained the juice of one lemon, which came to about 1/4th of a cup. 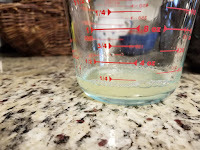 With the two ingredients set I started adding sugar to the lemon a spoonful at a time, again not knowing how much sugar was needed to "...let it be of the thickness of huney..."
It ended up being 3/4 cups sugar to 1/4 a cup of lemon juice, which made for a three to one ratio!!! (Can you tell I got a math award in High School?) 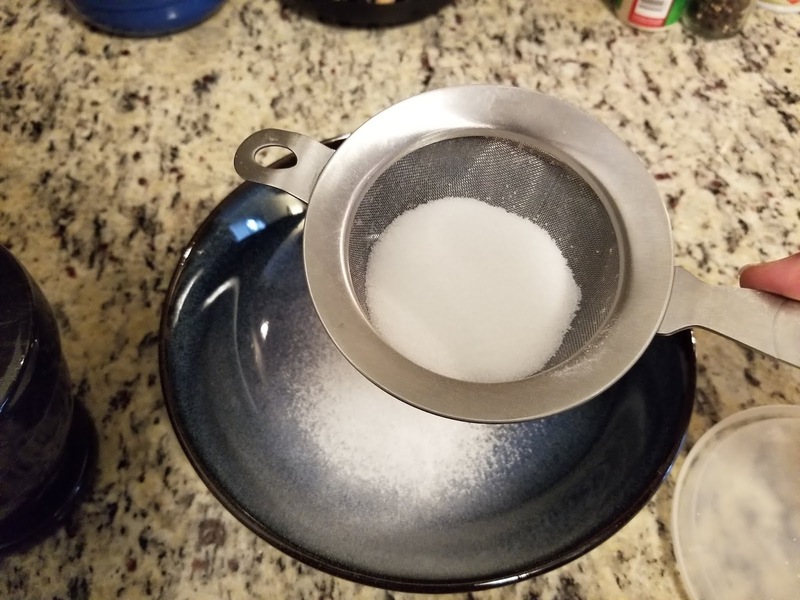 It was a much higher ratio of sugar than I thought it would be. 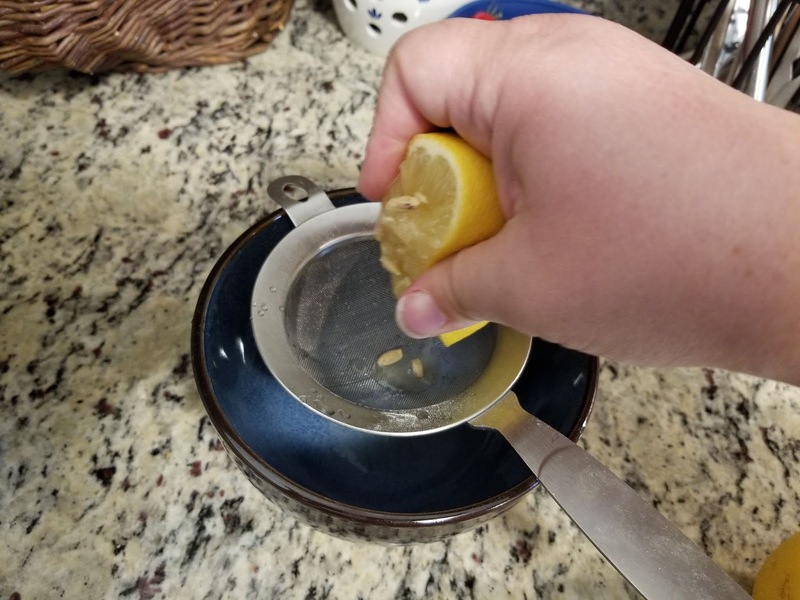 At this point I did end up tasting it and it was very sweet with a nice lemon taste. Not tart at all. 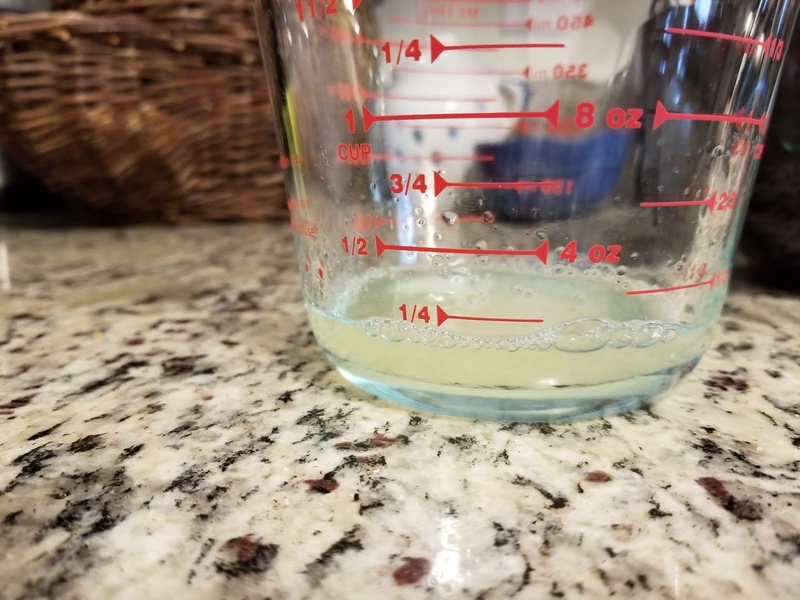 It reminded me of (and this will be understood by anyone who lives in Southeastern Massachusetts/Rhode Island) when you get a Dell's frozen lemonade and you take a sip from the bottom before the ice melts and you get that super sweet lemony syrup flavor. It was just like that. Not unpleasant, just needed to be watered down, or made into candy. Now here was a dilemma that needed some problem solving. I didn't have a "chafin-dish of coles". 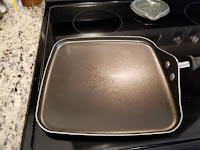 In fact I live in an apartment that doesn't allow open flame anything, so I don't even have a grill that I can put coals in and simulate it that way. And my range is electric. 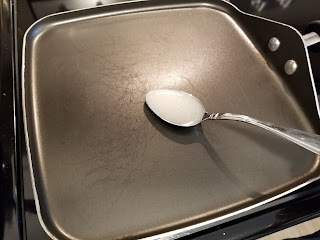 So, after thinking for a bit, I pulled out our flat pan for cooking pancakes and decided I'd hold the spoon of sugar on the surface so that it would cook that way, and hopefully quickly. 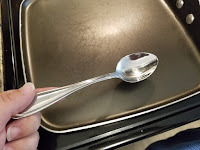 I went back and forth on the type of spoon but in the end I chose a metal one figuring that it was a metal spoon was a better choice since wood would scorch. 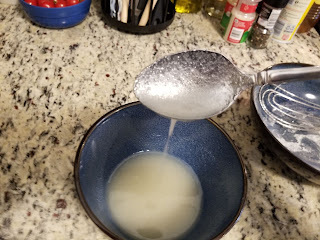 So I poured the sugar/lemon mixture in the spoon, since I knew the sugar would burn on the bottom of the spoon if I just dipped the spoon in the bowl. 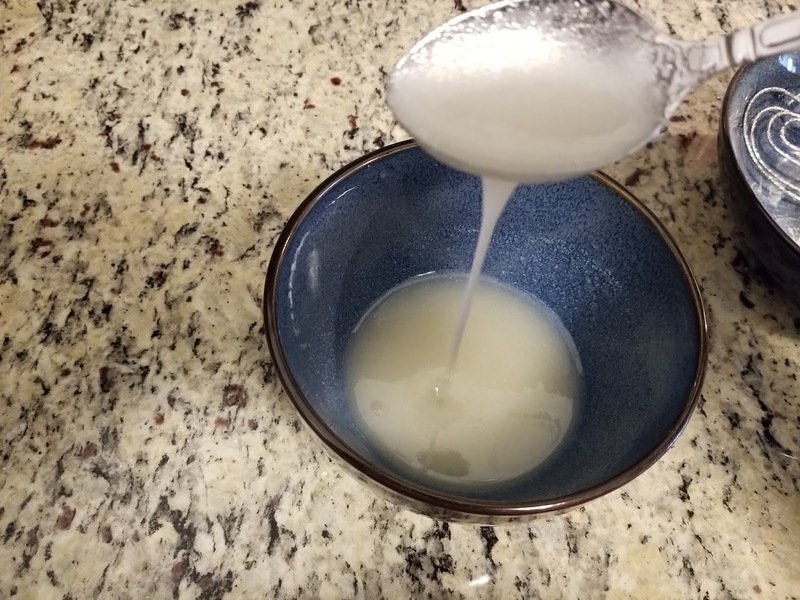 So I poured the mixture on the paper and waited a moment for the mixture to cool before I tried to spread it, tried being the operative word. It was extremely watery and wouldn't spread at all. 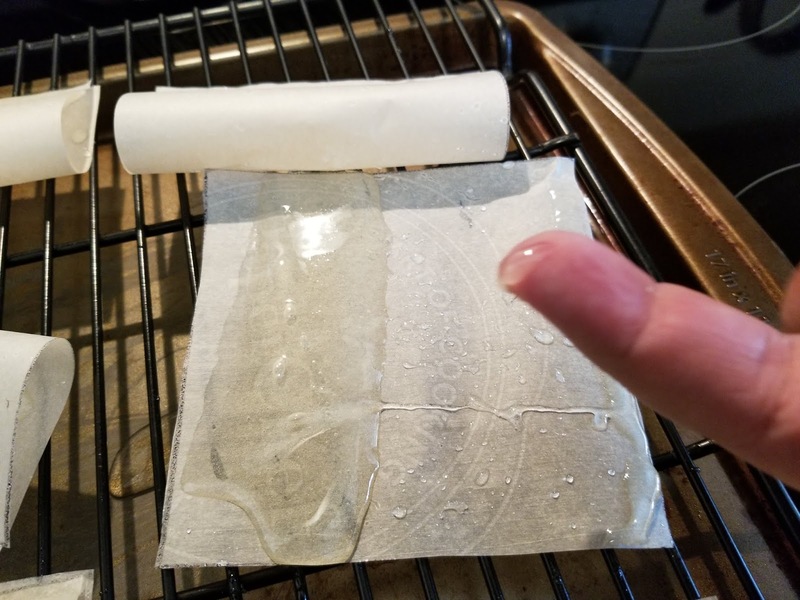 Even after sitting there for 5 minutes it was still in a liquid state. So I chucked it out and started again, this time changing a few things. 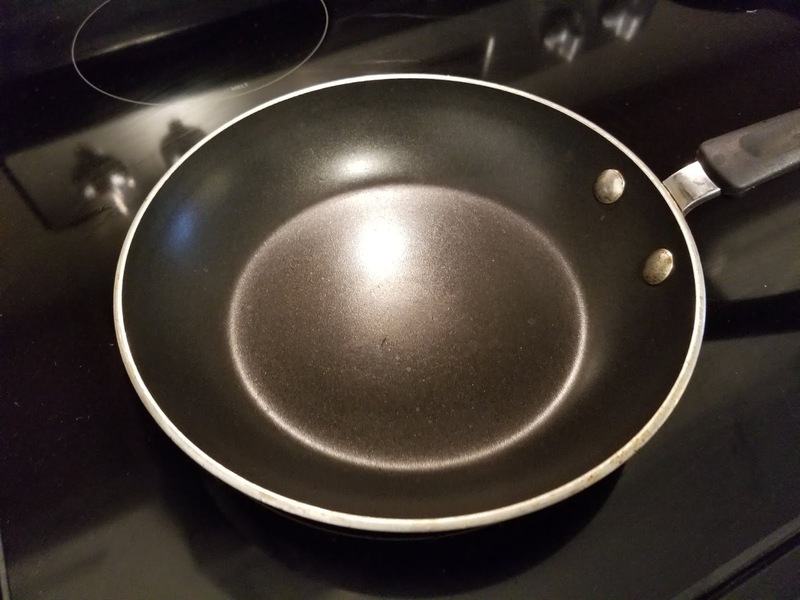 First the pan. I didn't think that the heat was getting around the sides of the spoon so it could "...be crisp on the side of the spoon..." without it boiling, which she expressly says shouldn't happen. So take two! 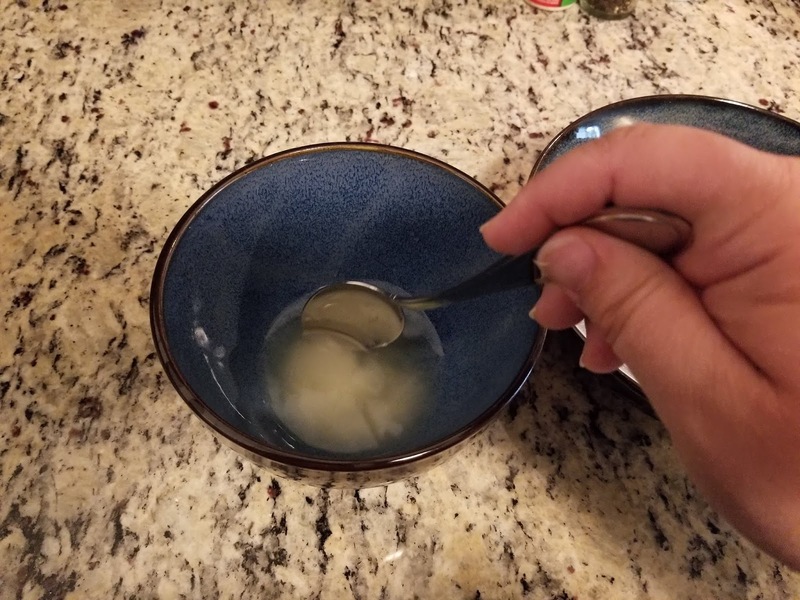 Also, not in the picture, the handle of the spoon is wrapped in a towel. Not making that mistake again! 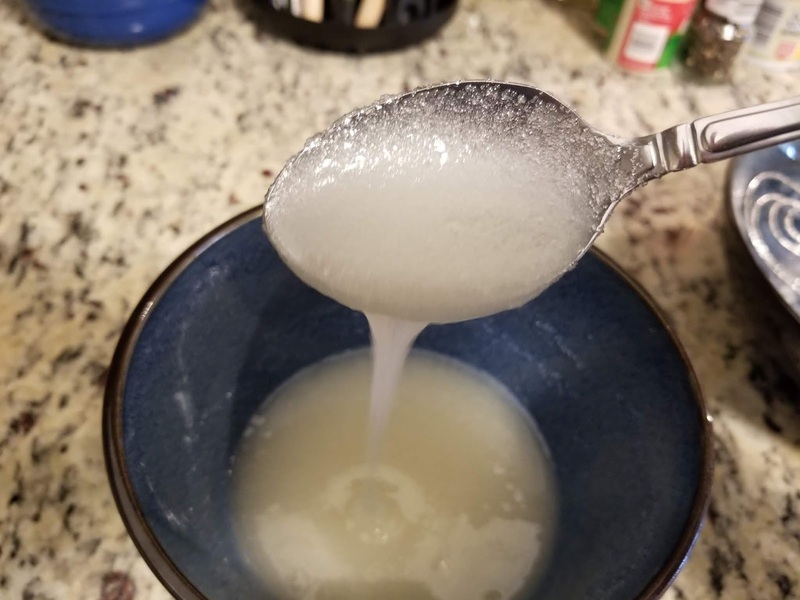 I did manage to get a picture right before it started to bubble, and before disaster struck. 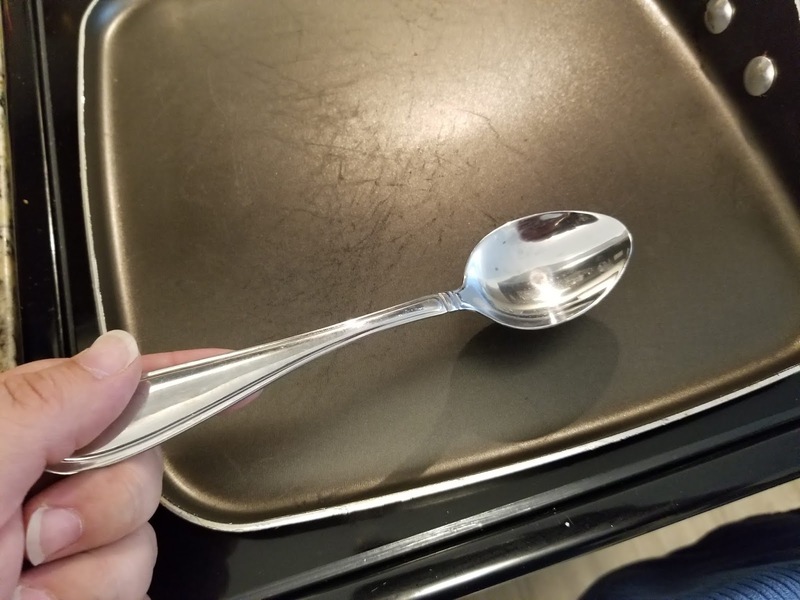 Yes, about a minute later, I tipped the spoon by accident and sugar spilled into the hot pan, instantly smoking and burning to the pan. 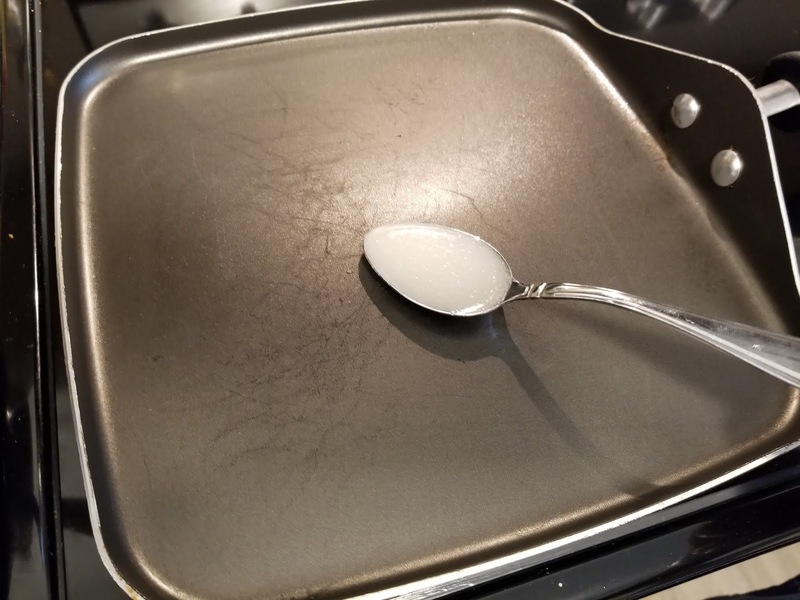 So, hot pan and spoon ended up in the sink under water to stop the burning. Que me frantically putting the oven fan on high and opening the porch door while I frantically wave my hands to circulate the smoke out, praying that the smoke alarm doesn't go off and wake my son who is taking his nap at this time. So, once the smoke settled (quite literally), take three! 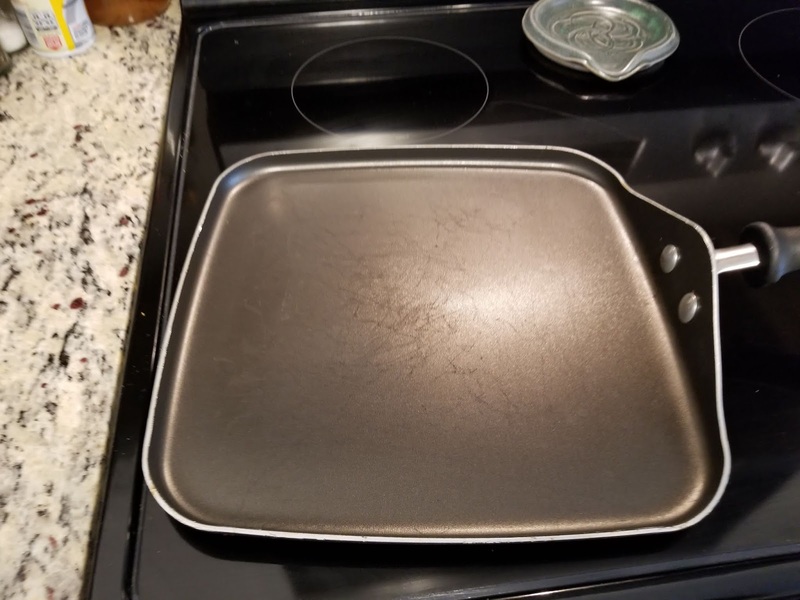 I washed and dried the pan and put it back on the heat to warm up again. 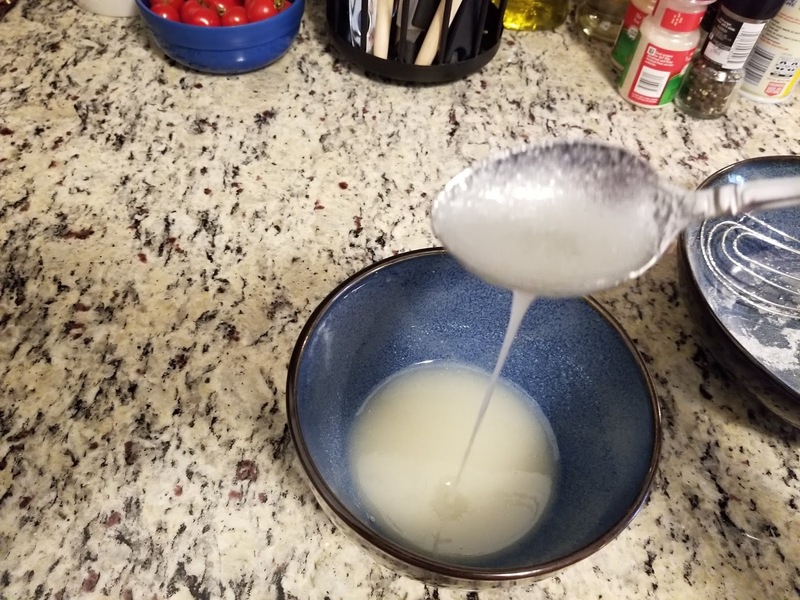 Then, I decided to replace the spoon with a ladle. 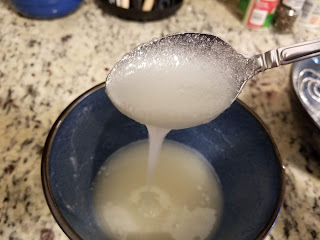 I still used the same amount of the sugar/lemon liquid as was in the spoon, I just had more space to use and, I hoped, it would keep me from accidentally spilling the mixture in the pan again. It also had the advantage of allowing me to put the handle down on the side of the pan, which was a good thing because my son just woke up from his nap while this was heating, so it allowed me to get him a juice pack and put Mickey Mouse Clubhouse on the TV, which he promptly ignored to play with his block tower. 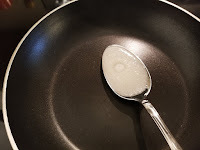 So, a few minutes later, the liquid was fairly hot and starting to bubble more than I liked. 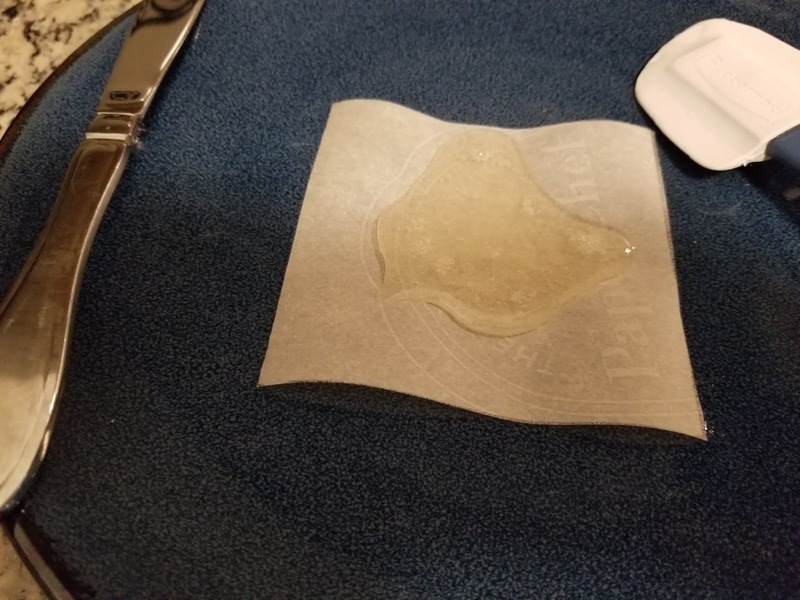 So I took it off, trying to not spill it again. 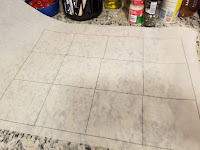 So I poured the mixture on the paper, and already it was a much different texture than my first one. I let it cool for a minute (while I got the next spoonful of sugar/lemon mixture ready in the ladle and put it on the heat) and then spread it to all the sides of the paper. 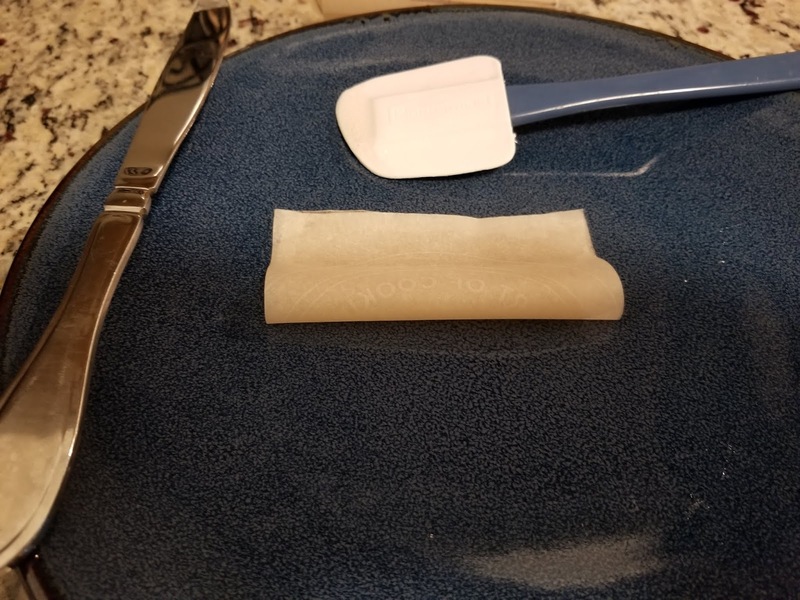 I then folded it like the directions said, "...then pin two Corners together that it may bend like other wafers...", and placed it on a rack to dry out, again as the directions said. Luckily, after that, it was pretty uneventful. So, for the next eight pieces of paper, I did the same routine. 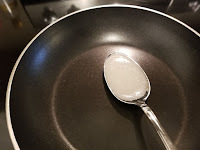 Heat in the ladle, pour on the paper once the sugar/lemon mixture was about to boil, and then let cool, spread and then fold in a wafer shape. 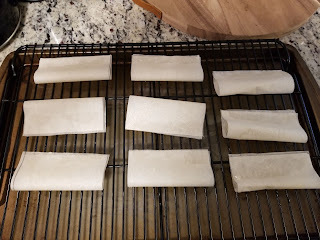 I then put it aside and let them sit for 24 hours to, hopefully, dry out and take the paper off of them. Well, as you can see above, 24 hours later and it proved to be a disaster. 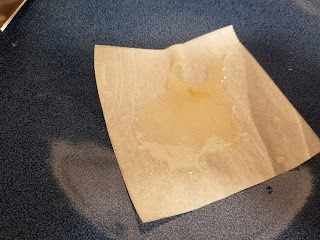 All the sugar mixture pooled on one side of the paper, and was still a very sticky jelly like substance. This was true for 7 of 9 of the papers. The last 2 were more like a crumbly sugar paste that crumbled to the touch. Again, not what I was expecting. 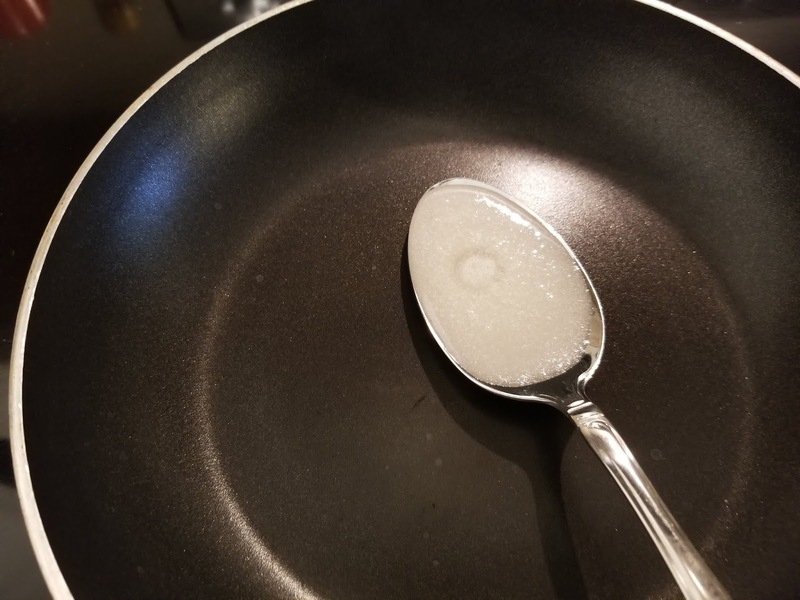 I will say they both tasted fine, very sugary with a hint of lemon. So, first, I have a GREAT admiration for the candy makers of the world right now. I'll NEVER take for granted how much work went into making that piece of candy I'm eating at that moment. Second, I was really under prepared for this receipt and experience. 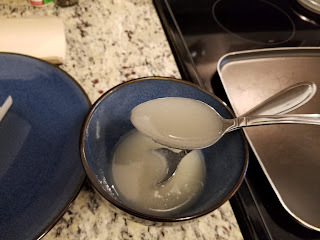 Having never made candy before, I didn't understand what the sugar/lemon mixture really should look like when it was heated enough. 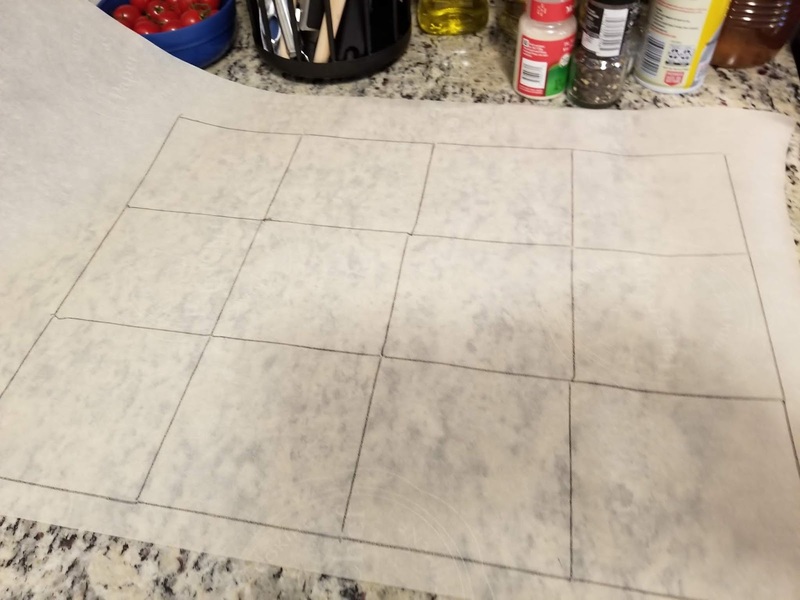 I also realize I made a mistake using parchment paper rather than normal paper, since part of the pooling was because it was a nonstick surface where the mixture could move freely, even being as sticky as it was. So no wonder it all pooled at the bottom. I also think my original thought of the sugar needing to be powdered sugar was correct. I think the last two papers (which were the sugar paste) were due to the fact that the bottom of the bowl was sugar heavy, even though I would mix it every time I poured a new ladle full. 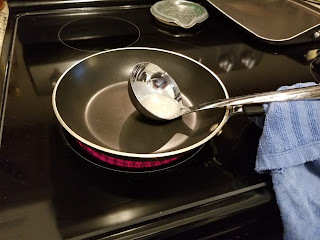 Also, I need a candy thermometer. I know Jane Dawson wouldn't have had one, but until I know what the sugar mixture needs to look like at the right temperature for it to become a hard candy state which I think is what is necessary to create that wafer shape, I need a temperature gage. All in all, it was an epic failure. But, then again, it wasn't. It certainly taught me alot, and made me think how I could do better next time. And there certainly will be a next time!